The earliest historical reference to a place in Thurrock is in Bede’s History of the English Church which tells of St Chad building a church in Tilbury, “on the banks of the River Thames”. 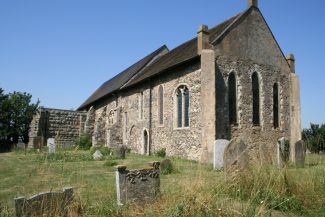 The location of this church is unknown, but it may be on the site of the present parish church at East Tilbury. More about St Cedd and his church on the Local History Society web site.